Do you have multiple iPads / tablets and are you looking for an easy way to store them? Flex IT Rent has a wide range of iPad carts. The iPad carts can also be used to charge the iPads/tablets. They are perfect for schools to store expensive devices. You are assured that students will always be provided with a fully charged iPad/tablet. 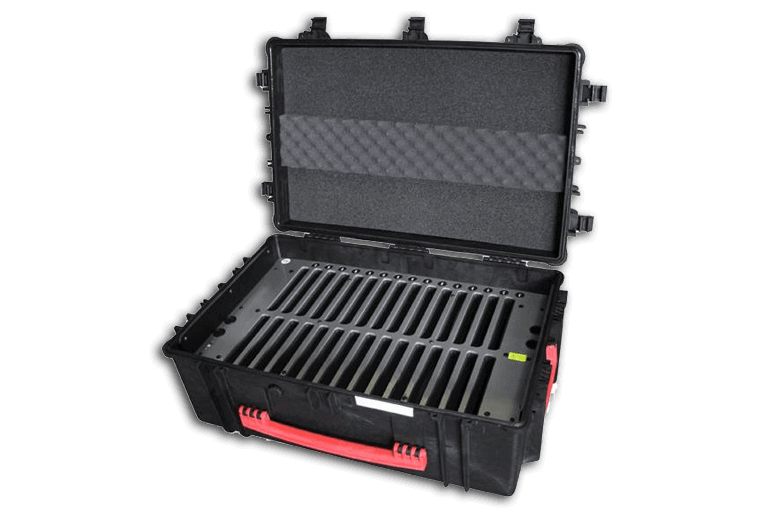 Besides iPad carts, we also offer trolleys and cases. 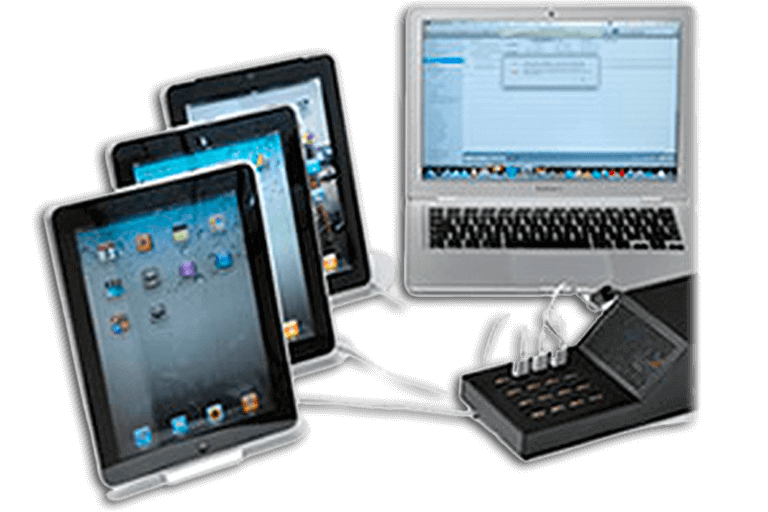 Flex IT Rent thus offers you the opportunity to easily store your tablets or iPads. 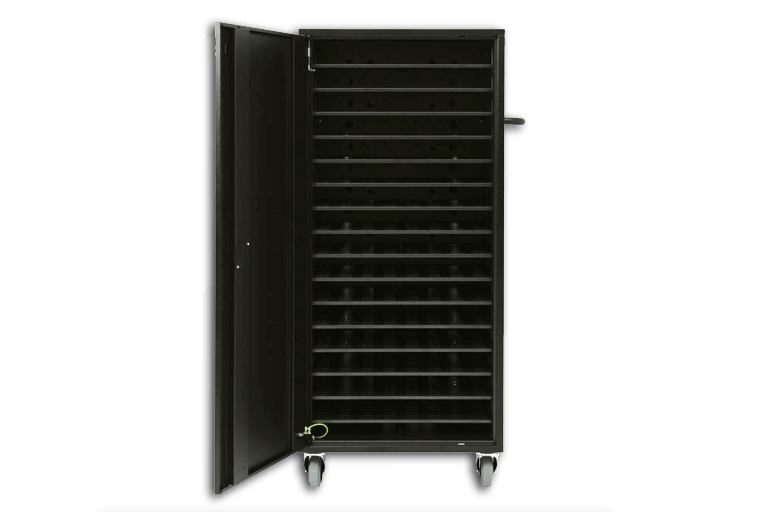 The carts have doors that can be locked and include a compact casing. 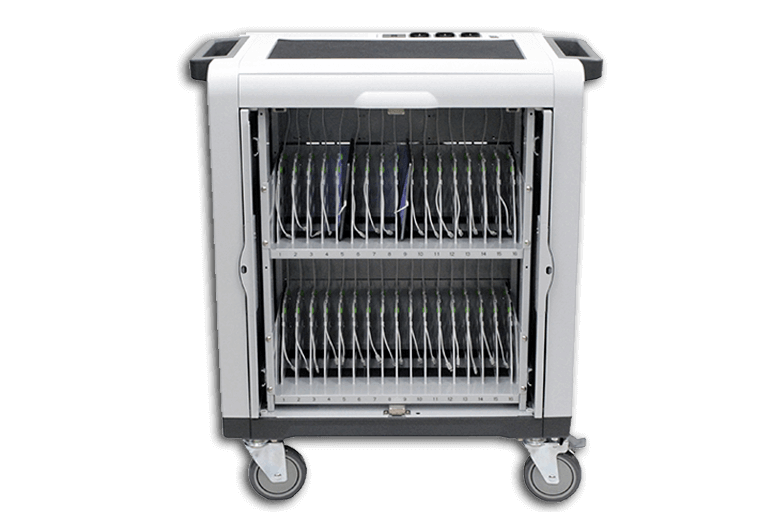 With the iPad carts, the tablets/iPads can be easily transported and stored. Do you want to rent tablets/iPads together with iPad carts? This is no problem at Flex IT Rent. Whether you want to rent the products for just one day or for an entire year, everything is possible at Flex IT Rent. Are you unable to find what you are looking for? Don't hesitate and get in touch with us! Thanks to our excellent relationships with our suppliers, we can provide you with the products you need. You can rent small or large numbers of products.